Enjoy fresh and succulent figs when they are in season — truly the food of the gods! When they are grilled, they become exotically luscious! Share this unique flavor experience at your next summer party. Serve with an array of cheeses, olives, nuts and a crisp white wine. Toast the pistachios in a small dry skillet over medium-high heat until fragrant, 3 to 5 minutes, stirring frequently. Set aside to cool, then chop coarsely and set aside. Cut each fig in half and drizzle with just a little olive oil. 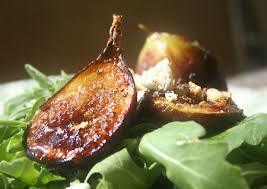 Place figs on a hot grill until grill marks form and the fig is warmed through. 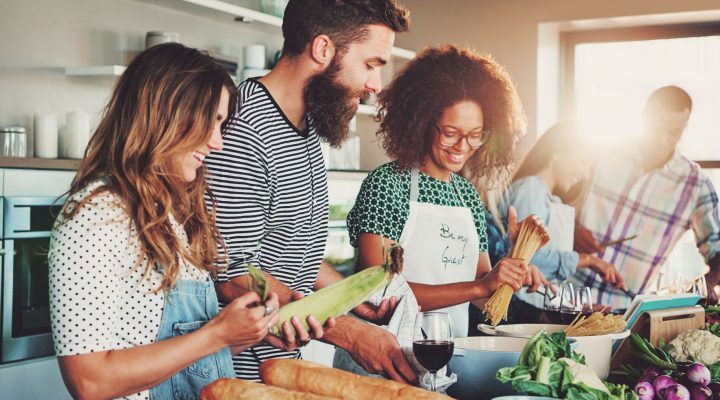 You can also use a hot grill pan on the stovetop. Cool somewhat and place the figs on a serving dish, cut side up. Put 1 teaspoon Mascarpone or ricotta cheese on each fig half and sprinkle with pistachios. Drizzle with honey, sprinkle with a dash of finishing salt, a grind of pepper and serve.